(December 4, 2014) Just a day after the passage of the so-called Agricultural Growth Act allowing the privatization of the wheat genome, among many other things, Ottawa has put out a request for proposals to transfer to the private sector the future of the wheat genome. On offer are some of the most promising fusarium head blight resistant wheat genomes in its possession. These wheat varieties are located at the recently scaled down Agriculture Canada Soils and Crops Research and Development Centre near Quebec City. As every farmer has known since time immemorial, head blight is a nightmare plant disease that can reduce a bumper crop to inedible junk status in a few weeks. There is essentially no cure or treatment – the best line of defense is plant breeding for resistance, and the Quebec experimental farm not only had some of the most promising genetics under development but was one of Agriculture Canada’s primary research centers on this problem. A little context shows how Ottawa’s request for proposals strikes at the essence of Canada’s role in feeding the world. 109 years ago the modern wheat trade was launched with the distribution to western Canadian farmers of just enough Marquis Wheat for each to seed one-tenth of an acre. This allowed Canadian farmers to grow seed stock for the following year. Marquis was developed by Canadian Government plant breeder Charles Saunders from seeds with pedigrees reaching back to ancient grains derived from spelt and cross bred with wheat varieties from India and the Ukraine. 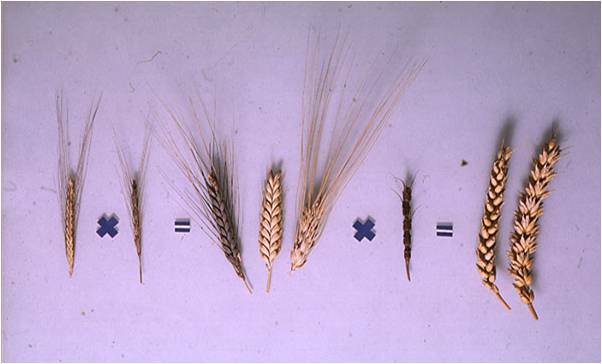 By 1920 Marquis Wheat was grown on over 90% of the 20 million acres of hard red spring wheat planted across western Canada and in much of the northern US Great Plains as well. It is no exaggeration to say this wheat and its offspring, all created in Canada through a partnership between western farmers and the Cereals Division of the Canadian Department of Agriculture has fed the world. Whatever challenges Mother Nature presented, whether drought, weak straw strength, or insect and fungal predators, this formidable combination of government researchers working on experimental farms and western grain farmers proved invincible. Until now. On December 2, 2014, Agriculture Minister Gerry Ritz’s department announced it was giving some of those foundation wheat lines away. Stored at the Agriculture Canada research station (formerly Sainte-Foys) near Quebec City these seed lines have been developed from some of the most ancient grain samples available in the world and are being offered for tender to the private sector. The Conservative government in Ottawa is offering to give those wheat genetics to private non-government organizations with the formidable resources already in place to carry on wheat breeding. It does not take a genius to see that only the giant multi-national agro-chemical seed companies have the necessary resources. Or to see that Minister Ritz is doing an end-run around the newly created farmer-funded wheat and barley commissions which, given time, could have developed the resources to carry on this work. Ritz is also shutting out the long standing and very experienced farmer-funded Western Grains Research Foundation. Controlling the wheat seed genome means controlling the future of food. Aside from being immensely profitable, giving this genome to the private sector bakes in a conflict of interest since the giant agro-chemical-seed companies are only concerned with enhancing the sales of their own products. We can expect the canola model to prevail where the companies involved genetically modified seed lines for resistance to chemicals they already had on the shelf rather than focusing on natural disease resistance and vigor as the partnership of farmers and government has done for the past 109 years for other grains. Much like the farmer-owned and controlled Wheat Board, Ottawa is giving away another essential component of Canadian-owned agricultural production that has taken generations to build. “The quantities of seeds offered vary according to generation and the approach used; there are lines for which 5 kernels are offered and others for which 500 grams are offered…. Many years ago when the Harper government was voted in people said that this would mean the total change of what we know Canada today. I thought I knew what that meant back then and welcomed the Harper government but never did I think that this government would proceed to create a basic monopoly for large corporations to our food supply such as I understand is or could be done from this article. I am so ashamed of my vote for this government. I don’t know perhaps enough about government or why this decision was had but I do know that giving control of seed crop i.e.. foods to corporations instead in the abilities of individuals i.e.., small farmers cannot be in the best interests of Canada or the people of Canada whatsoever. No one person, business, trade, corporation, government should ever had that ability to control the people such as this….this just can’t be in the people of Canada’s best interests in my view.